CAPTIVATING FILLY.... exotic dishy face, dark liquid eyes, tiny muzzle, perfect tight-set tippy ears, balanced on straight legs, ground covering trot, stellar pedigree, full of legendary winning show Champions! 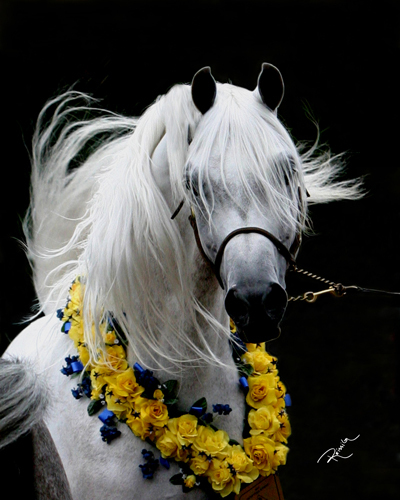 Sire is the famous Mishaal HP, Res Champion at EE and now sireing many champions. Her dam Thee Kajaree is one of the youngst daughters of the imortal The Minstril. 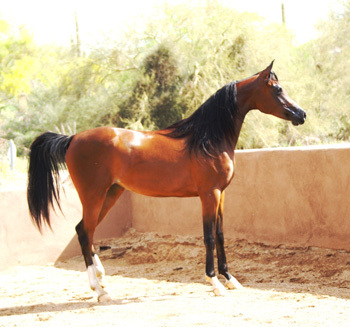 Kajaree was Top Ten in Yearling Fillies and Top Ten in 2yr old Fillies at th U.S. Egyptian Event.